This Sunday April 21 is Easter Sunday. 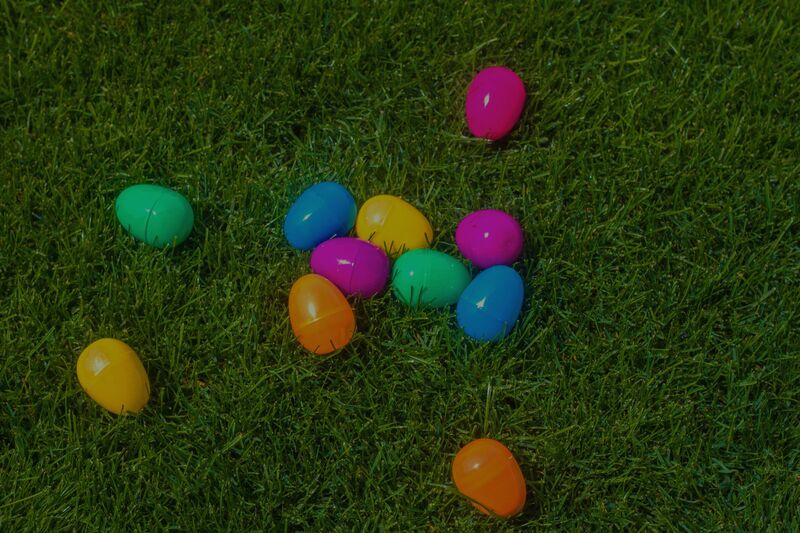 Dozens of plastic pastel eggs are hidden in front yards and parks across America on Easter weekend. Easter egg hunts bring communities and families together in a friendly competition to find the most Easter eggs or the eggs with the best prizes. Spring in the housing market can make a buyer or seller feel like they are in a giant Easter egg hunt. Everyone is searching for the perfect house (and $50,000 under market value). Everyone is searching for the perfect agent (who will sell their house for $50,000 over market value). As a buyer, it can be intimidating to compete against other buyers, especially if you feel like you are not the “strongest” buyer or not putting the most money down. Our agents specialize in getting tough offers accepted. If you feel like the underdog in the home buying experience, submitting offers and getting compared to an all-cash or perfect FICO 20% down offer, then you should know that getting an offer can be a more complex equation than just the perfect financial situation. We are REALTORs who promote home ownership for everyone and we want to get your offer accepted. As a seller, you most likely have a stack of real estate agent business cards, each wanting to list your home. My clients are my top priority. My day is about figuring out how to provide value, resources, information, and facilitating your move. Selling and moving is a stressful ordeal. I am here for every bump on the way to SOLD. TRUST – Do you trust them? Before even considering whether they know the area or not, do you trust the agent? An agent you trust can look up questions that they don’t know the answer to. The most important fact is that you trust that your agent has your best interests in mind. CONNECTION – Do you connect with them? During the home buying or selling process, you will answer countless phone calls, texts, and emails from your agent. Do you dread talking with your agent or does that conversation flow? You get the hire the professional that you connect with. COMPETENCE – Do they stay educated on the latest real estate updates, contract changes, and market trends? Does your agent have an office with strong support staff to fill in all the gaps in the process? It is the trifecta of finding the perfect REALTOR: Trust, Connection, Competence. Free pancakes will be provided by Glenkirk Church at Finkbiner Park and by Gladstone Church at Gladstone Park. The City of Claremont and John Elway’s Chrysler Dodge Jeep Ram are proud to sponsor this popular community event which begins at 9 a.m. and includes a variety of entertainers, crafts, contests, clowns, games, a petting zoo, as well as a candy egg hunt! At 10:30 a.m., the siren marks the start of the candy egg hunt. Children 2 years and younger receive goodie bags. Children 3-12 may participate in the egg hunt. The Kiwanis Club of Claremont will cook up a pancake breakfast at Memorial Park from 8 a.m. – 11 a.m. Tickets are $5 per person and can be purchased on-site at the event. These community events are a part of what makes living in Los Angeles County and San Bernardino County so enjoyable. Sunny days in the local park with friends and family is a good reminder of why living in Southern California has so many perks (some of the country still has snow).